Frances Long Harper writes that she has had no success in finding someone to help care for Martha Berry's mother other than Mary Pitts, an African American practical nurse whose price she finds too high. 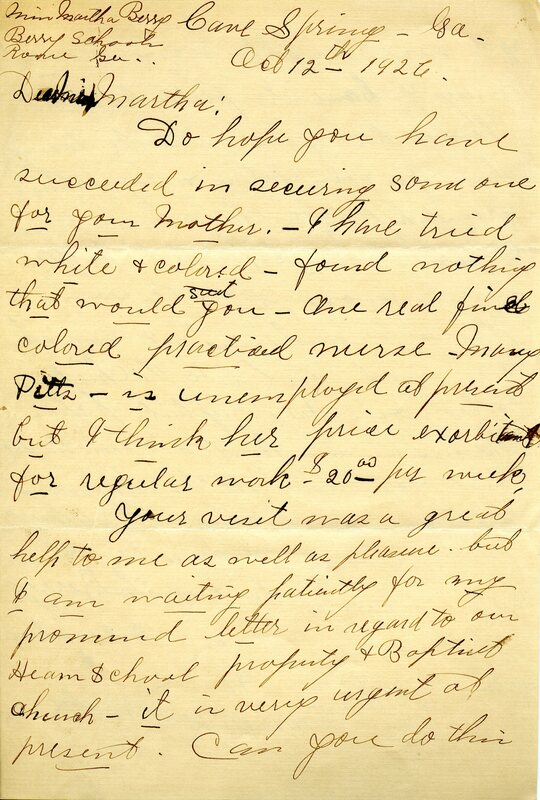 She reminds Berry of a promised letter about the Hearn School and Baptist Church property, which she asks Berry to write immediately and send to the Georgia Baptist Convention's Christian Index. 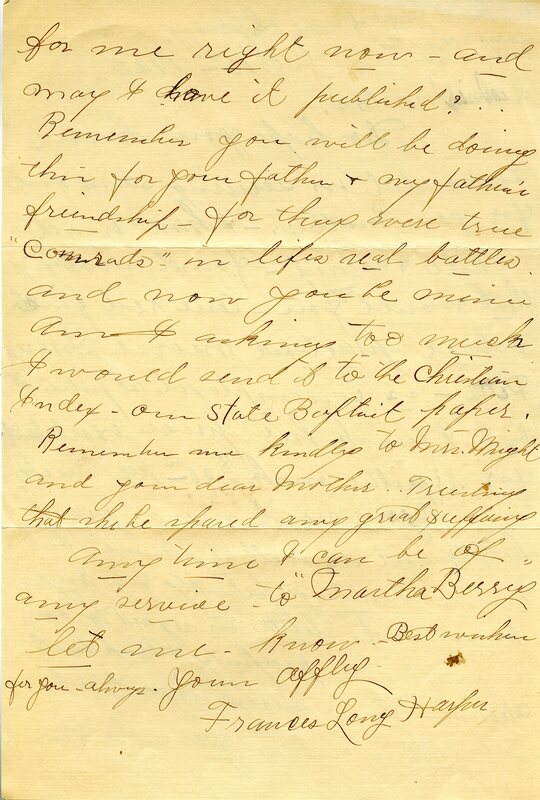 Frances Long Harper, “Letter from Frances Long Harper to Martha Berry.” Martha Berry Digital Archive. Eds. Schlitz, Stephanie A., Sherre Harrington, et al. Mount Berry: Berry College, 2011. accessed April 20, 2019, https://mbda.berry.edu/items/show/217.